Cannaexotics is a creation of Gooeybreeder. The company is based on the west coast and has a very long, good-standing reputation in the cannabis world as an elite strain creating icon known world-wide for some of the most exotic, sought-after, and prized strains pictured in magazines and websites all over the world. Gooeybreeder’s work is designed for medical use! World reknown breeders from all over the world useGooeybreeders work in their own efforts to bring new, unusual traits to their own work to advance their brands. If they can turn to Cannaexotics as a name they can trust, so can you. 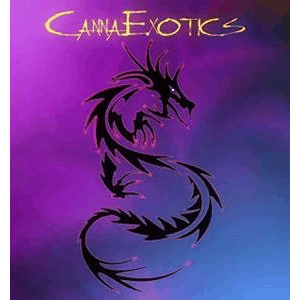 Cannaexotics, where exotic cannabis is born! All Canna Exotics Gear comes in packs of 10 beans.